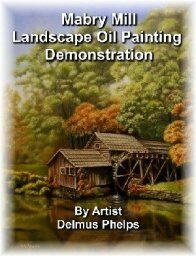 Mountain Painting, a landscape painters reference guide using a great shortcut technique. Mountain painting, with all it's details from rocks to trees and everything in between can be daunting! If you've tried using the Flemish technique in doing a landscape and found it a bit too much, here's a great shortcut that will eliminate a few of those steps. Several things I talk about in my eBook on the landscape painting of Mabry Mill still apply here. Such things as composition, aerial perspective, and color. These concepts are still necessary in creating a realistic landscape painting. I have found that utilizing all the steps become unnecessary after you've done a few paintings and understand each steps purpose. Only then can you use a shortcut. 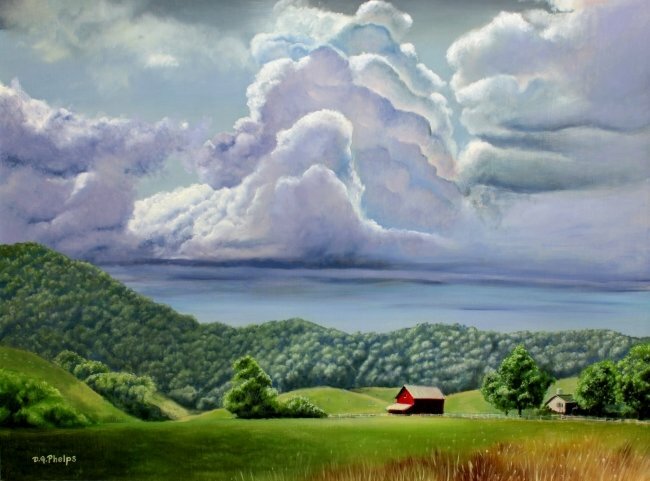 This shortcut will help you to finish up a landscape painting in a real hurry. It's one that I've tried and seems to be "legit" to coin a term used by my kids. Before tackling this, do brush up on these concepts listed below. You will need them when you begin your painting. Understand atmospheric perspective. The idea that items in the background are going to be grayed out with a very narrow band of contrast. As the landscape moves forward into the foreground, colors will be more intense, and contrast will be expanded so that in the very closest part of the foreground your maximum contrast of darks and lights will be present. After prepping your panel, and drawing in your mountain, use color acrylics to lay in (block in) an under-painting. This is done in a very loose fashion with no details, and only mass color shapes to cover the white canvas or board. There is a great deal going on already in the above photo. Firstly, I have blocked in 4 shades of blue and a light brown for my mountains and sky. Starting from the rear, and working forward with progressively darky blues until I reached the foreground. I have already gone back and completed the sky in oils, and the first layer on the farthest mountains. The next 2 mountain ranges have dark blues added for the areas that are under the tree canopies. Again, this is very loosely done. In the photo above I have put in the second mountain range, starting with my darks and finishing with the well lit canopies. When approaching the middle ground and foreground, remember to lay in the darkest colors first, and put your lights on top. Darks are layed in with lots of medium to thin the paint, and the lights are put in with little medium to keep the paint thick. 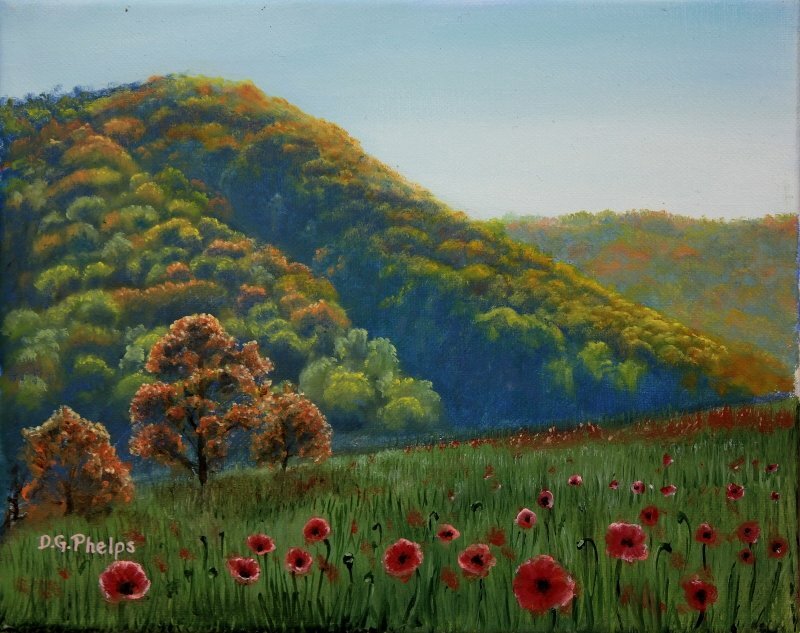 The painting below sold fairly quickly. I think it has something to do with the poppies, people love poppies. Their frailness and color seem to excite folks that see them. 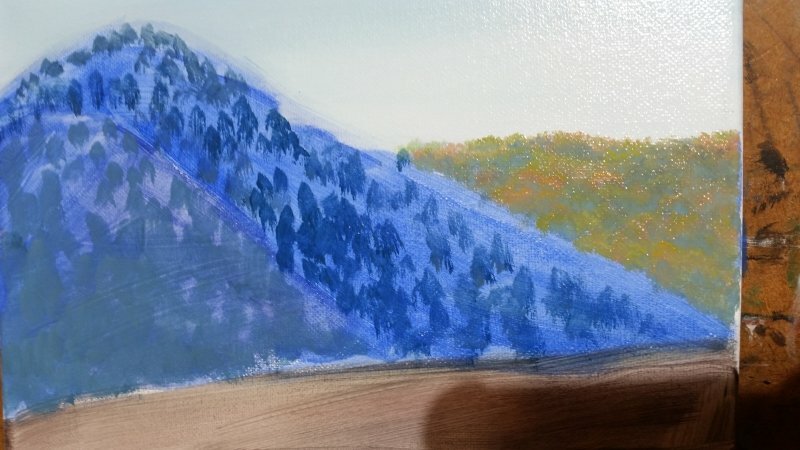 I use a dryer so the first color layers of this mountain painting are dry by the end of the first day and the second day the painting can be completed. 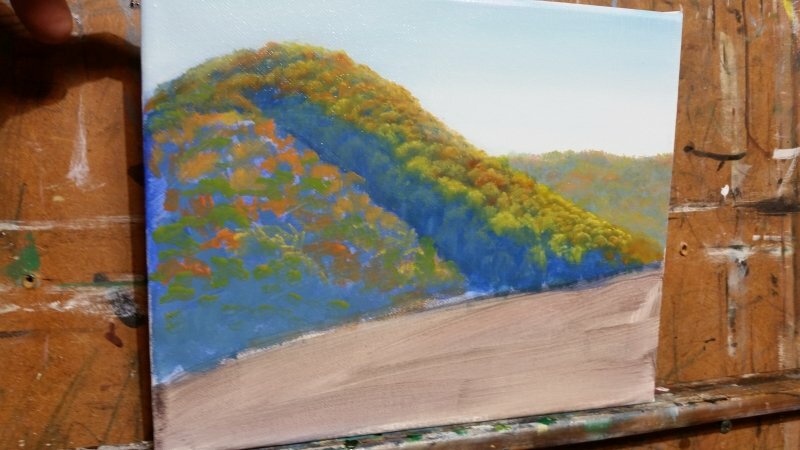 I have learned this technique from a fellow artist that has posted his painting process on YouTube. I think you will really enjoy these films. 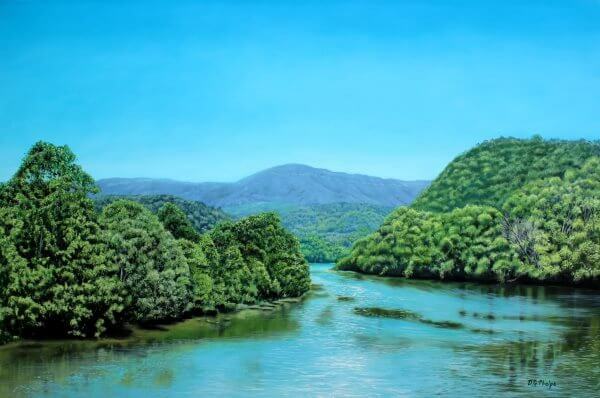 Below is the YouTube video by artist Michael James Smith. Its about 15 minutes long and shows you this process of the acrylic under painting and then how he paints the rest of the piece in time lapse. It's a nice tutorial. Below is another video of the actual blocking in he uses in creating his landscapes. He states that he does a small painting in a day or 2 days! Amazing and beautiful. More Examples using the technique shown in the video's. Hey, I almost forgot. 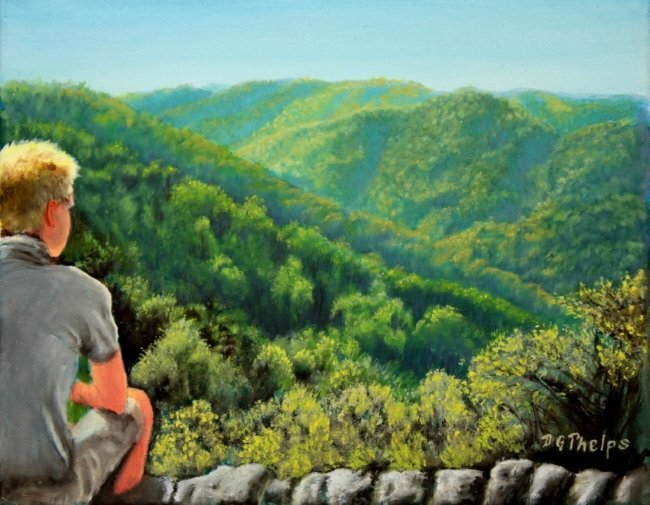 Here are 3 more paintings that were done after this article was posted. And I now have a great demonstration of the method with even more photo's. click the image to get a larger view of mountain paintings using this shortcut.